Product information "Silver and Gold Spoons from Jensen Copenhagen"
Patience and hard work, I couldn't agree more. 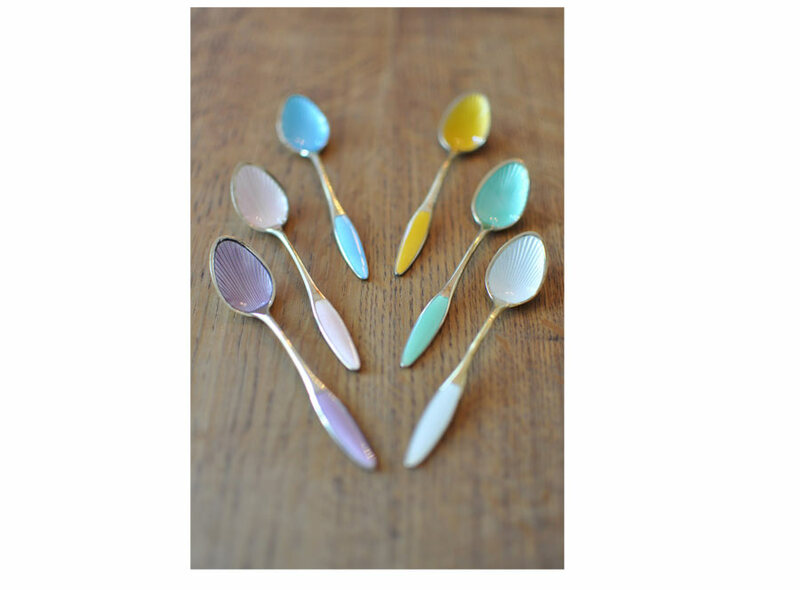 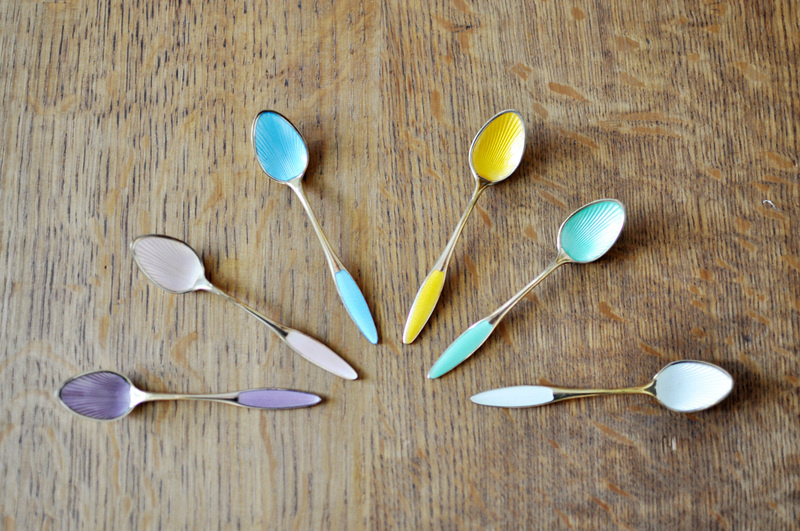 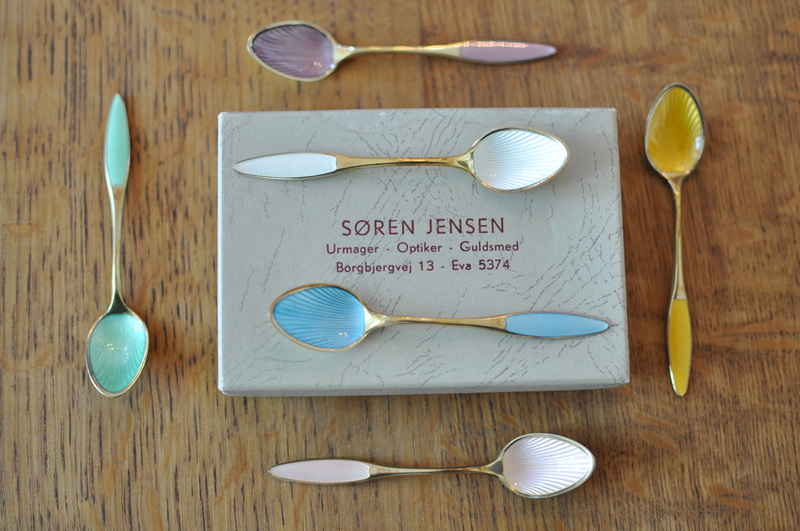 Although I wouldn't say no to these 6 lovely silver spoons from Søren Jensen Copenhagen. 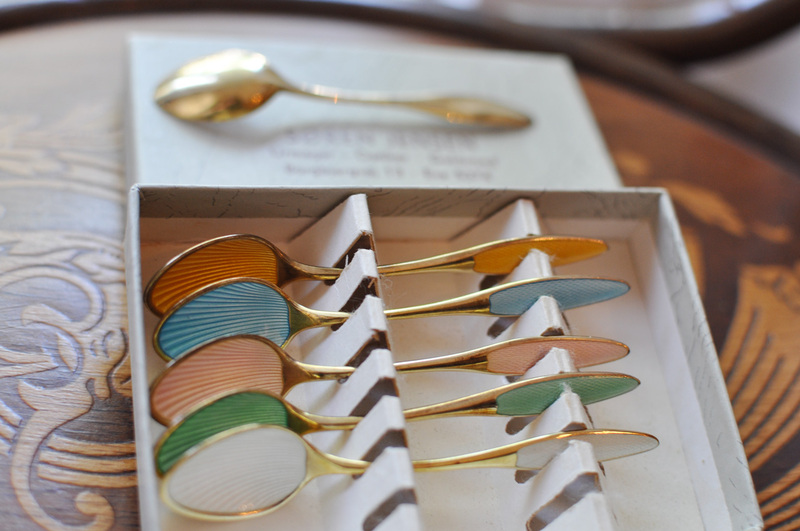 Gold on silver, with wonderful enamelled handles in all the colours of the rainbow (almost). 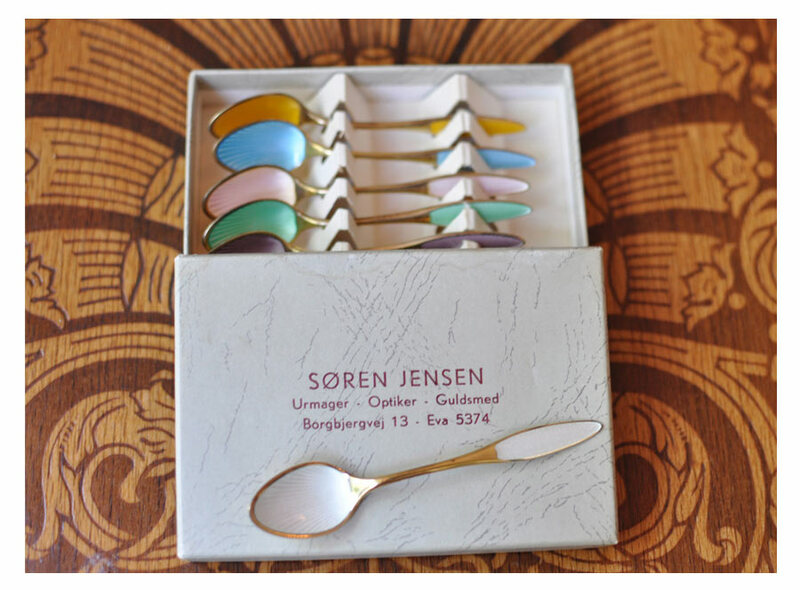 In excellant condition, 1920s, I found these myself at the Colonaden Antique Fair in Hamburg from two of the loveliest antique dealer couple I have ever had the pleasure to meet. 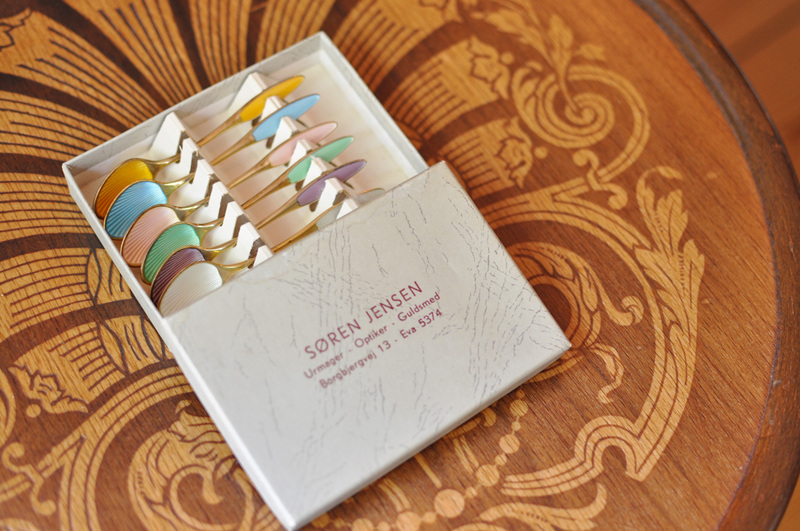 I also fell in love and acquired a ladies travel secretaire from them, which was the laptop of the 1800s, so to say. 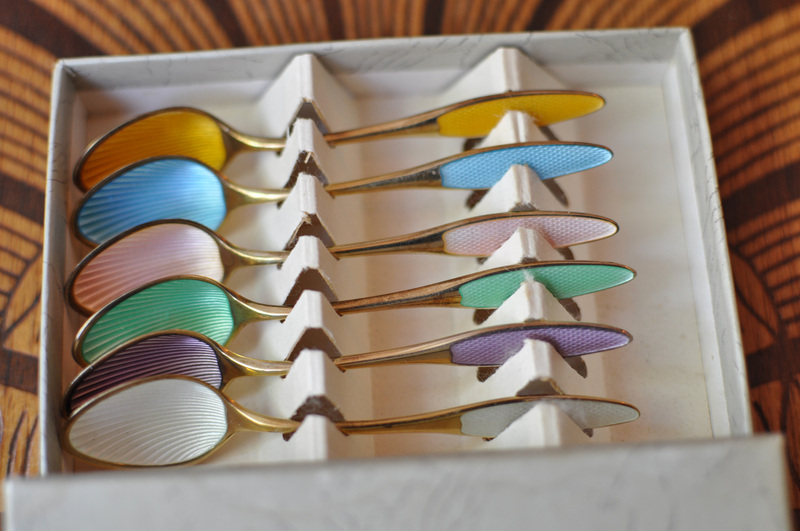 If you are not sure what it is, I will be sure to write my next blog post about it. 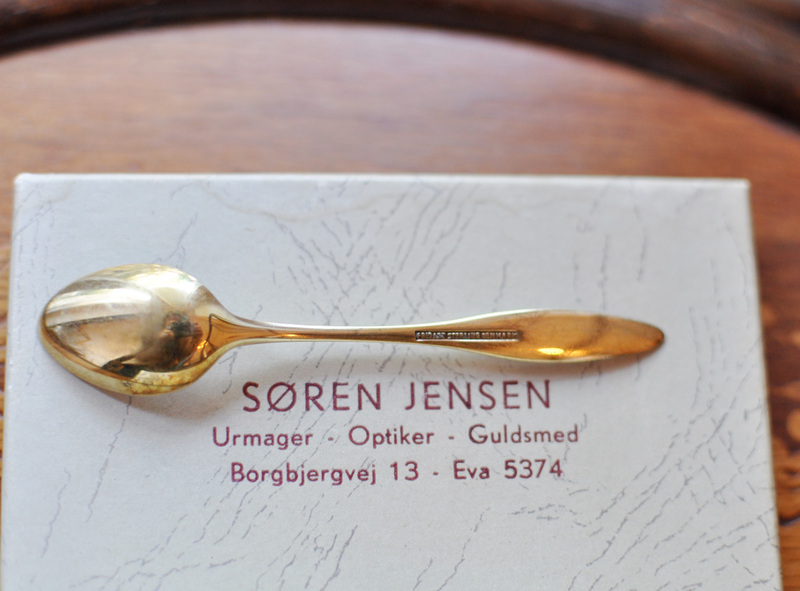 Related links to "Silver and Gold Spoons from Jensen Copenhagen"
Customer evaluation for "Silver and Gold Spoons from Jensen Copenhagen"